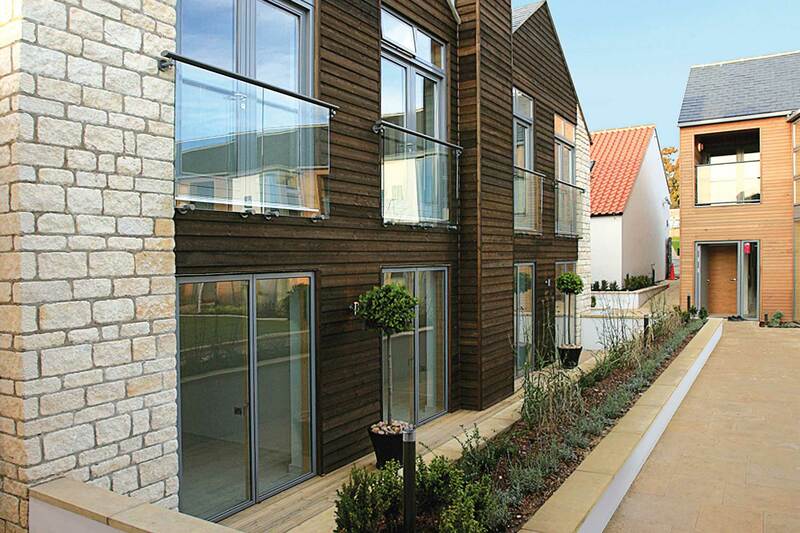 Renowned for their contemporary minimalist style, our Juliet balconies feature glass panels which bring the brightness and warmth of the sun into the interior. 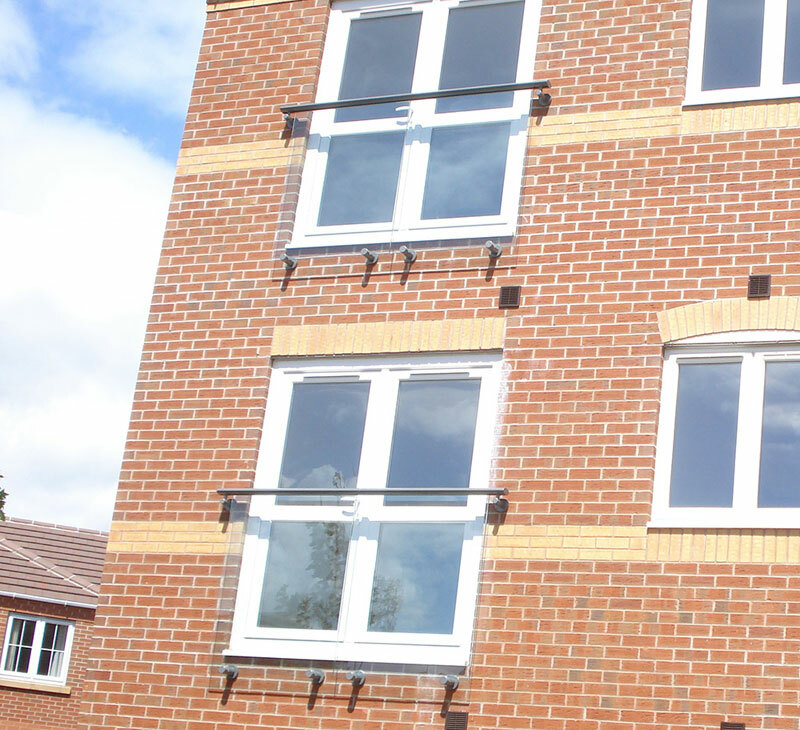 Each Juliet balcony comes with our Lifetime Guarantee. 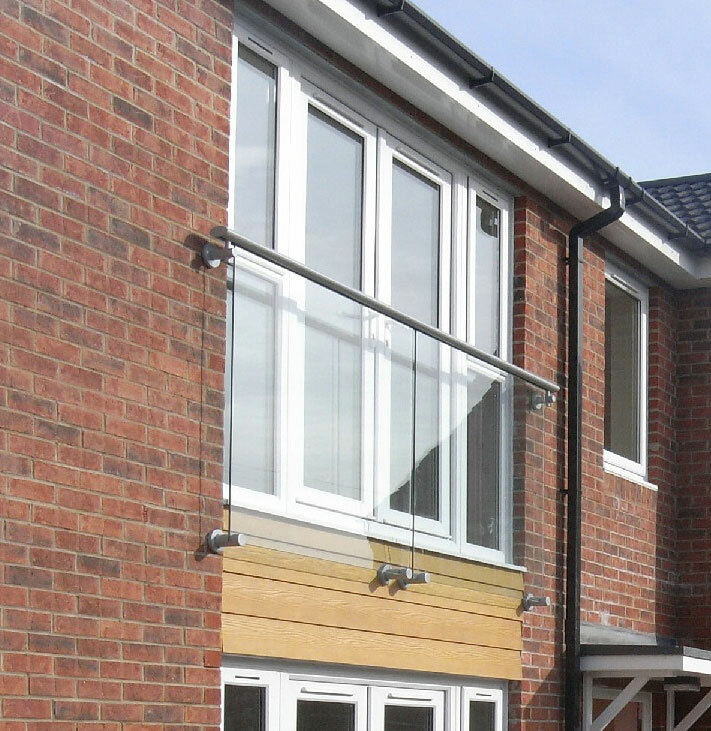 These attractive balcony designs include 10mm thick toughened safety glass and powder coated rails for a rust-free finish, ensuring a hard-wearing application that can handle the most demanding environments. The predominance of glass provides an unobstructed view out and maximises solar penetration to give interiors plenty of warmth and natural light. 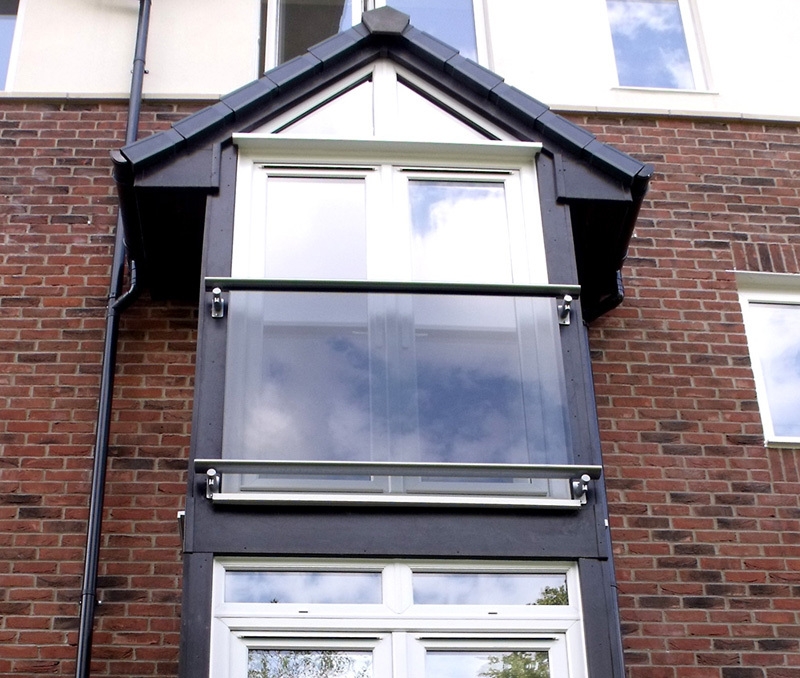 Our standard specification is glass panels secured by an ovular toprail with circular stem brackets providing subtle support at the base - this is certainly our most popular combination, but we also offer a number of alternative variations including railed designs for the more traditional aesthetic. 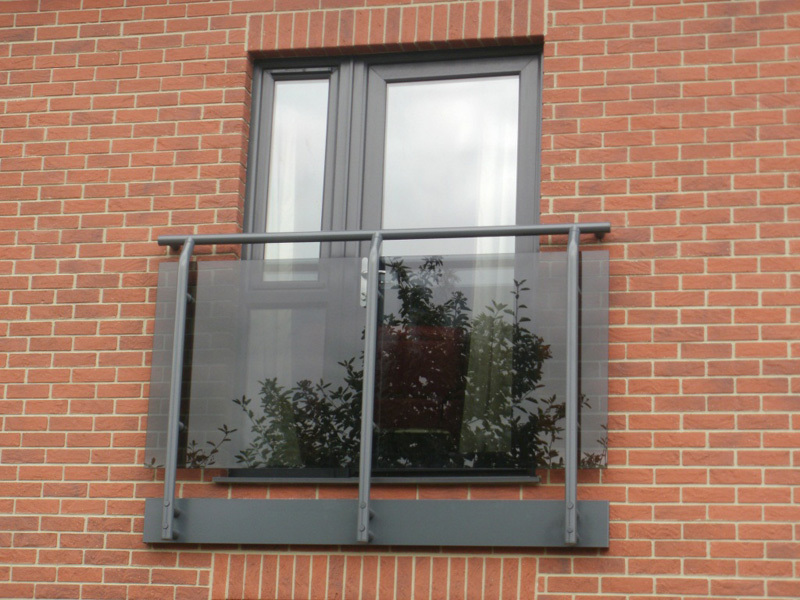 All balconies are quick and easy to install without hot works such as welding, avoiding noise, mess and waste whilst minimising construction time. They can accommodate 2.5m openings without the need for stanchions. 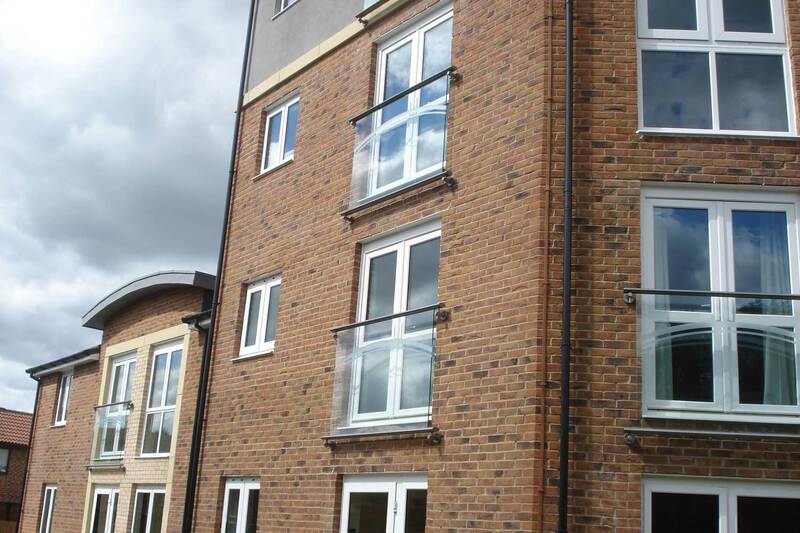 Our Juliet balconies provide stylish, minimalist looks to enhance a building's appearance. 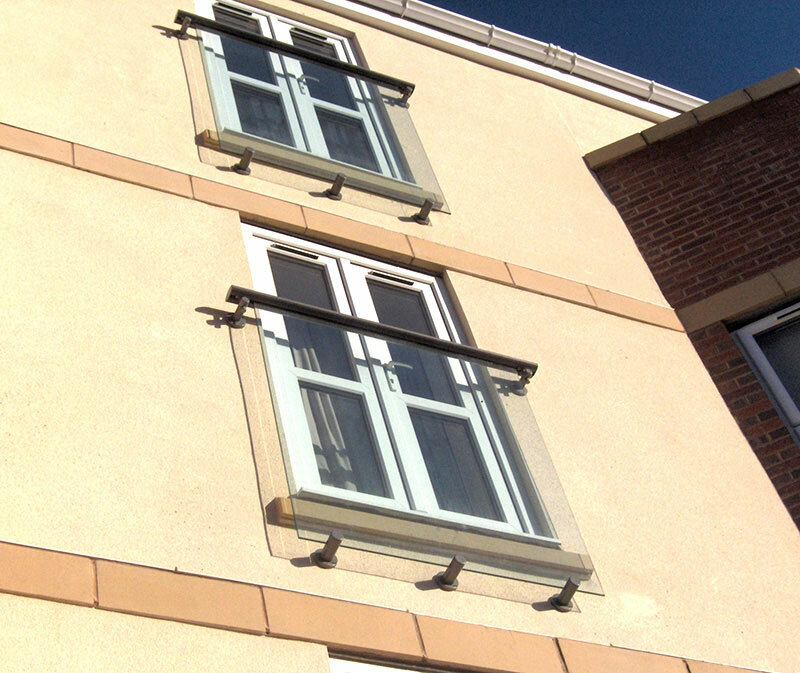 Fast, efficient installation minimises time spent on site. neaco can provide a full installation service. Suitable for a variety of widths with openings of up to 2.5m accommodated without the need for stanchions. 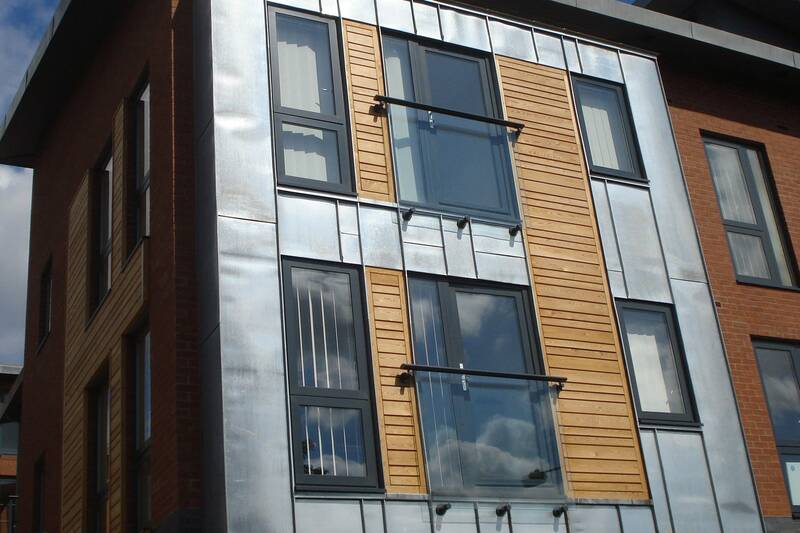 Designs are adaptable to a wide variety of building facades and window structures. 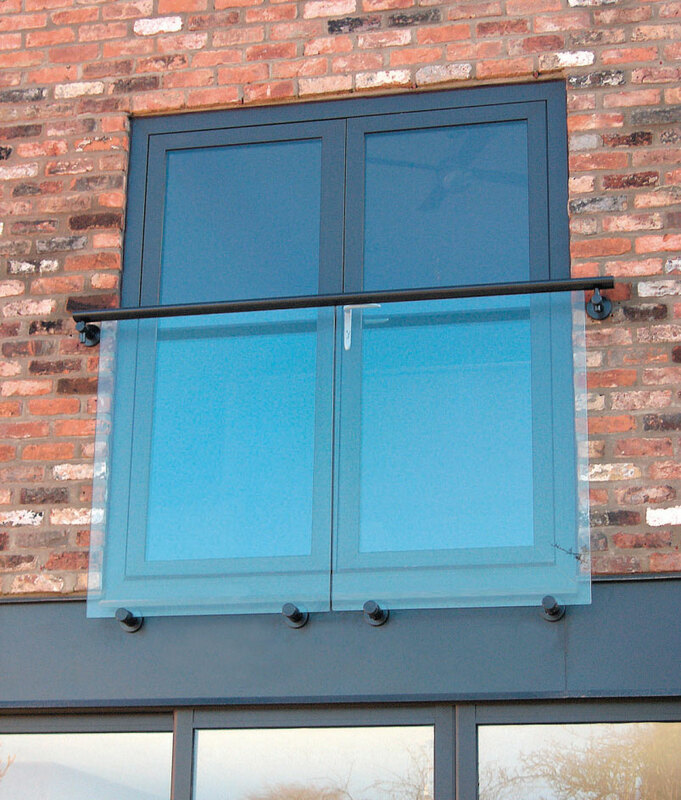 The ovular toprail is our standard option with a channel which secures the top of the glass in place. It provides excellent strength and comfort. Stem brackets are another key element of the minimalist aesthetic. 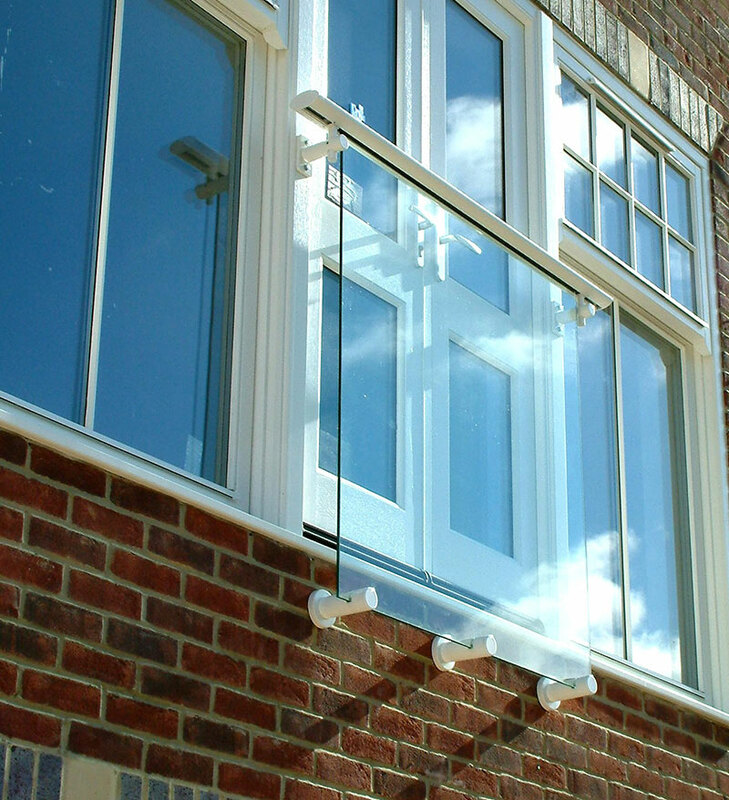 They provide strong, secure support for the glass with minimal use of materials. 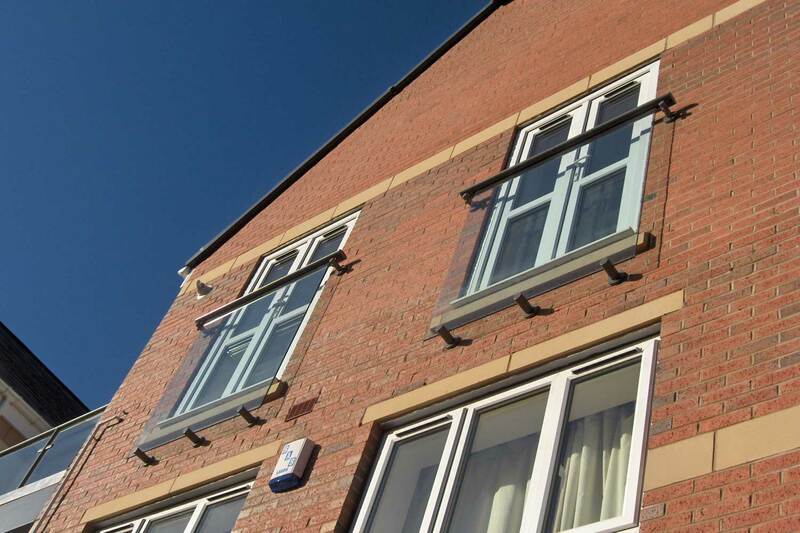 Toprails are usually fixed to the wall fabric, but when required they can be attached to window frames. This example used a specially modified toprail support bracket. 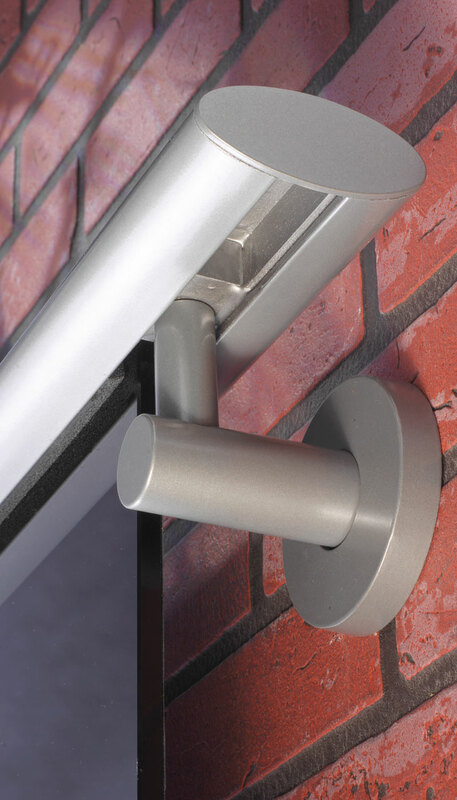 An alternative to the stem bracket support, our bottom rail support has become increasingly popular. It mirrors the toprail with a channel securing the glass in place. This example also incorporates stanchions, but in most cases it is not essential. 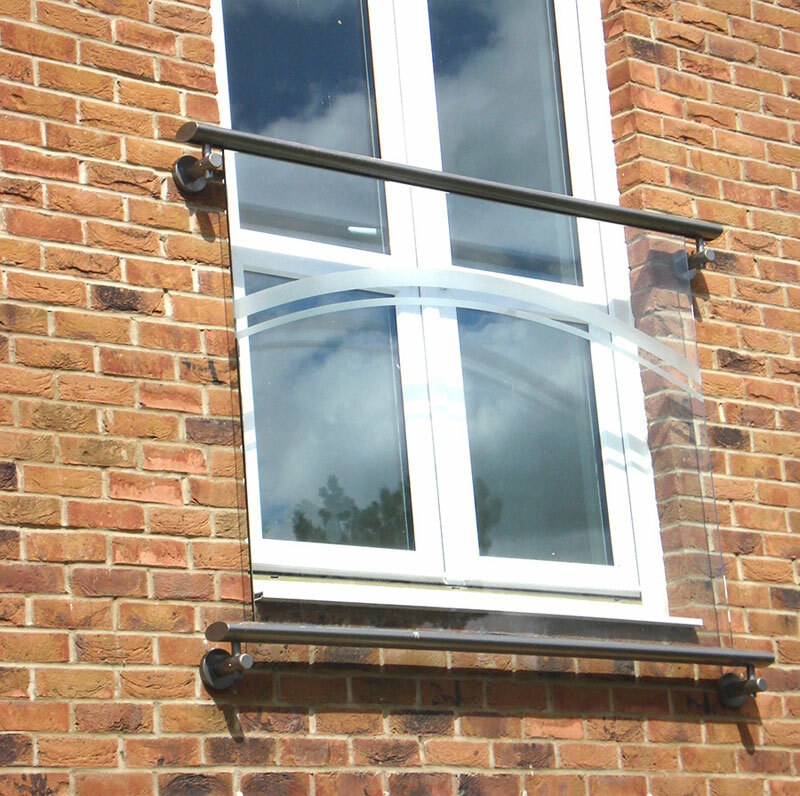 Glass supported by offset stanchions is another design variation. This allows the option of a circular toprail instead of an ovular toprail. 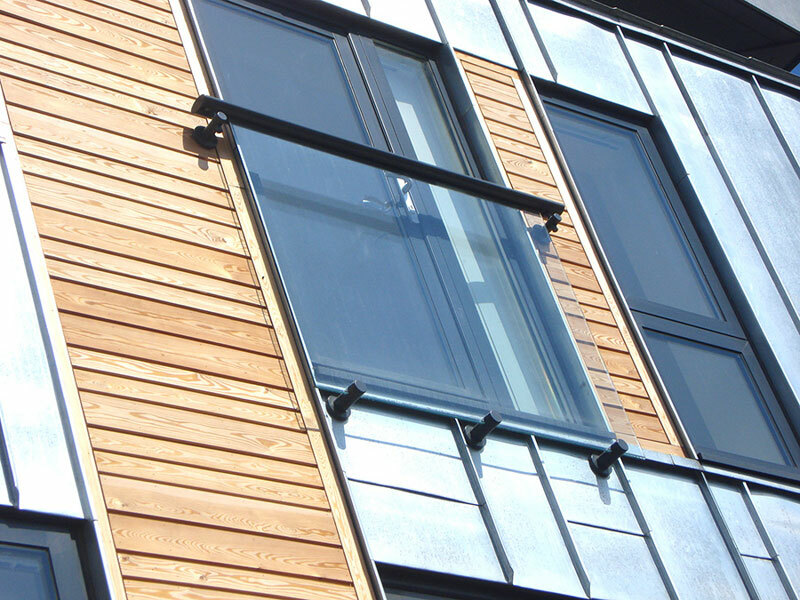 Our clear glass panels make maximum use of natural light and the views from the building. We can add a distinctive design feature with bespoke graphics applied to glass. 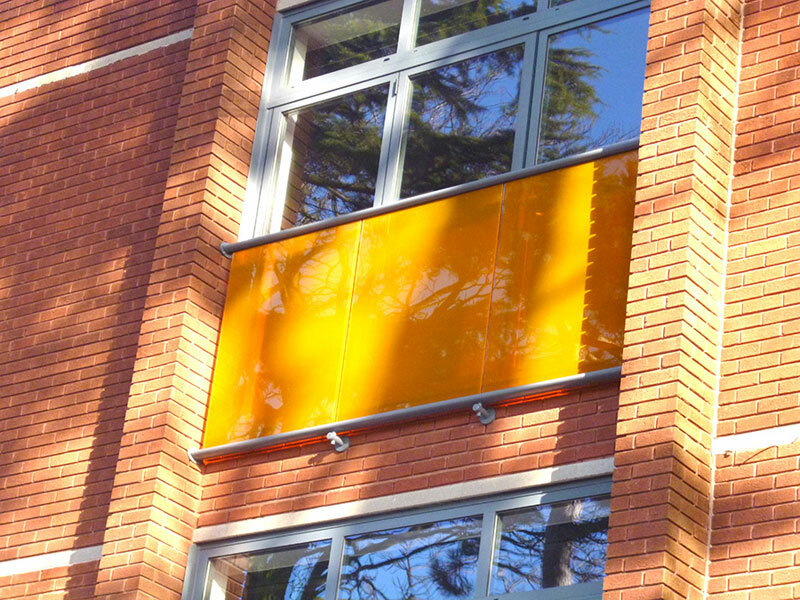 Our tinted panels can moderate the solar penetration without compromising the clarity of the view out. 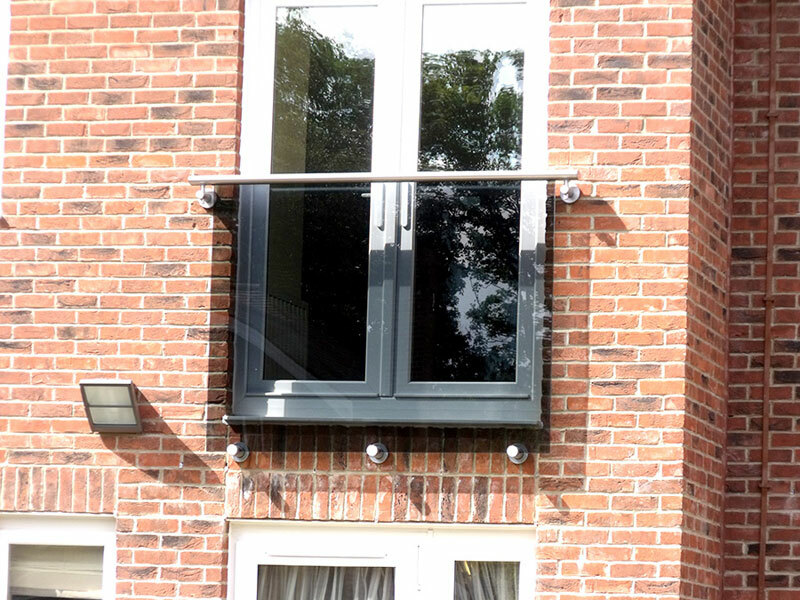 Our glass-panelled Juliet balconies are renowned for providing a clear view out, but if required we can apply film to provide greater privacy or add a touch of colour. 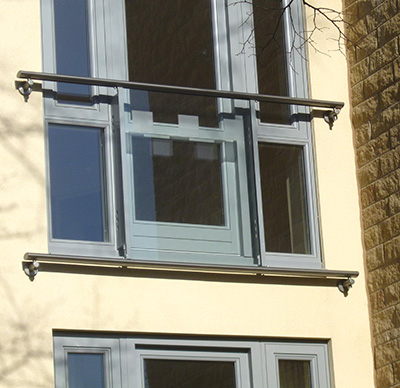 Most of our Juliet balconies characterised by a predominance of glass, but we also offer railed infills for a more traditional aesthetic. 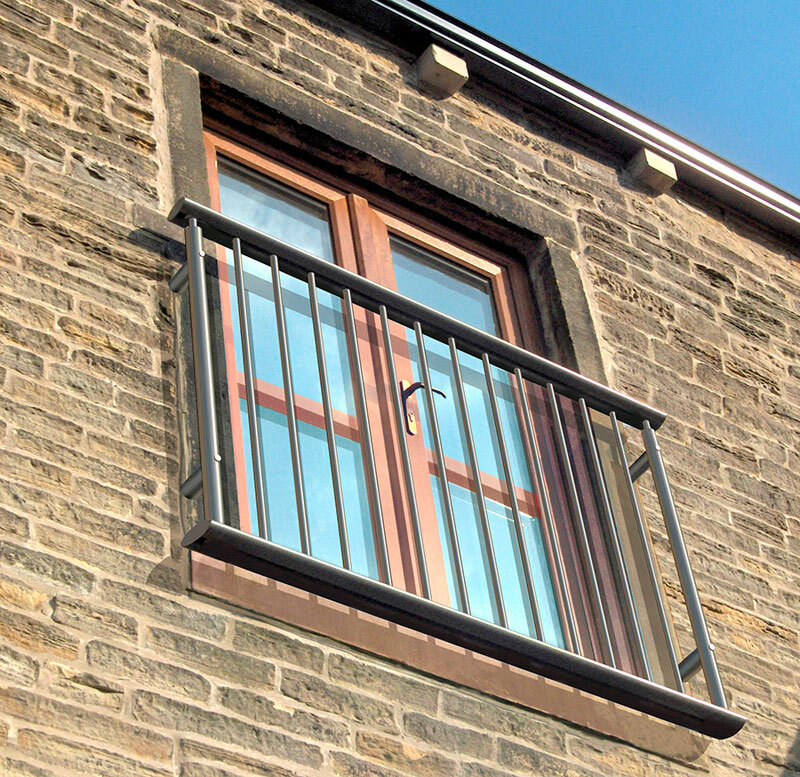 This is often specified in the refurbishment of listed buildings where regulations stipulate a railed balcony.